In 1956, the sister city program was originated by President Dwight D. Eisenhower as part of the people-to-people citizen diplomacy initiative. Currently Sister Cities International represents over 2,500 communities in 126 countries from around the world. Newport and Mombetsu, Japan (pronounced mom-bets) have been participating in this program since 1966. It has been a culturally rich friendship, one that is valued greatly by both communities. In the four years I’ve lived in Newport, I have had the pleasure of hosting some of our Japanese guests and I must tell you that breaking the language barrier (thank God for smart phones with translation apps), navigating food issues and understanding cultural intricacies has been an eye opener. But one thing I do know, people are people and regardless of where they are from, you can find common ground. This week, a contingent of Japanese students, along with their chaperones descended on the central coast. These youngsters are participating in art projects in Nye Beach, tribal heritage lessons in Siletz, a visit to the Oregon Coast Aquarium, and one of the most important aspects of their trip, learning the art of building s’mores near a campfire at Ona Beach. One very important piece of Japanese culture, is gift giving. There is a traditional component that by far transcends an American’s idea of mere etiquette. 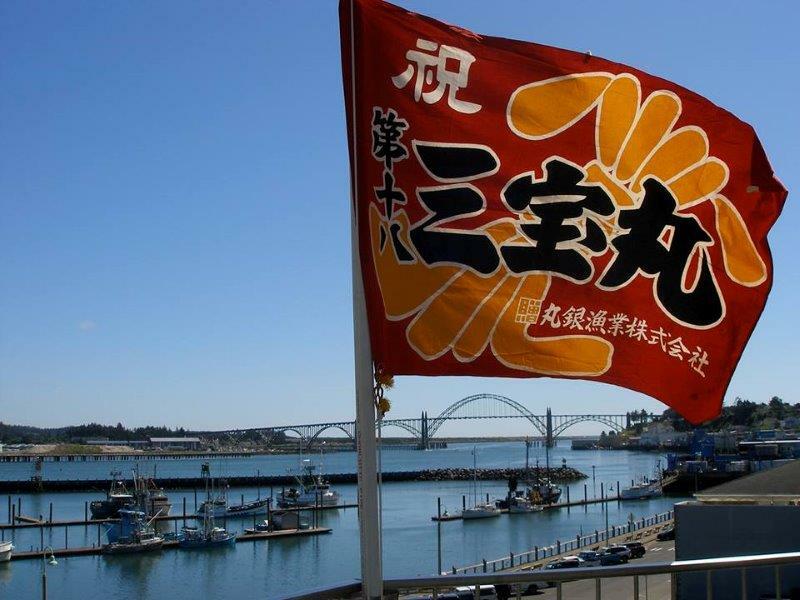 It’s an art form…and recently our Pacific Maritime Museum & Heritage Center was the recipient of 17 magnificent flags from Mombetsu. These colorful works of art are “good luck flags” that were donated by fishermen and a fishing company from our sister city. 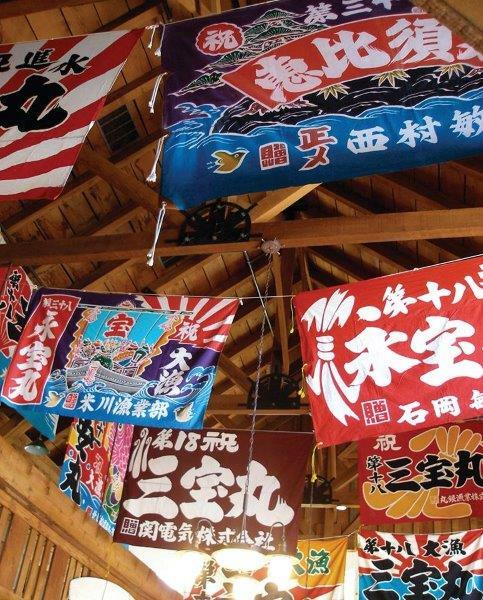 Historically, when Japanese fishermen had a good harvest, they put up the “Tairyouki” or flags as signals. Today, these flags are symbols for a bountiful catch and safety. It is rare, even in Japan to have this many flags hanging together, so we are honored indeed. Long after our guests return to Mombetsu, we will still hold their memory close. And we will have our colorful symbols of friendship on display at the historic bay front. Isn’t that what it’s all about? Finding out that here in a small town on the Oregon coast, or half way around the world, we have so much on common?